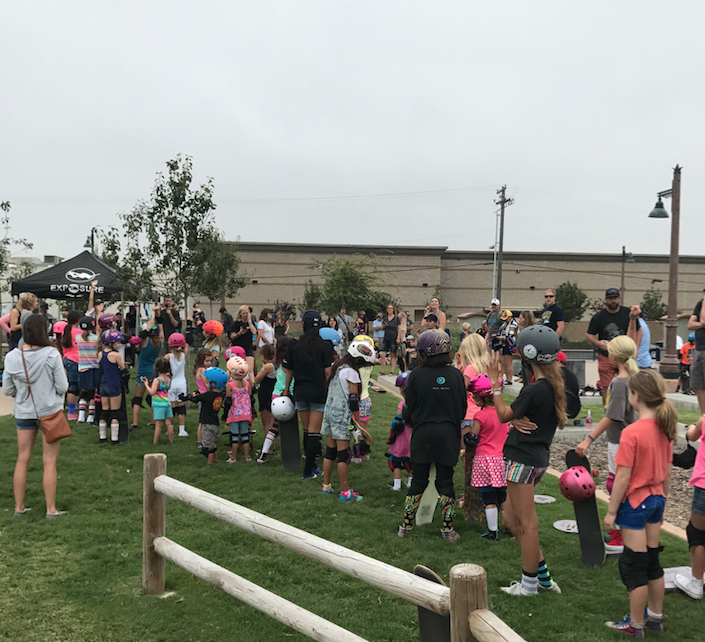 Skate Rising started their 2nd year by stressing the importance of kindness. 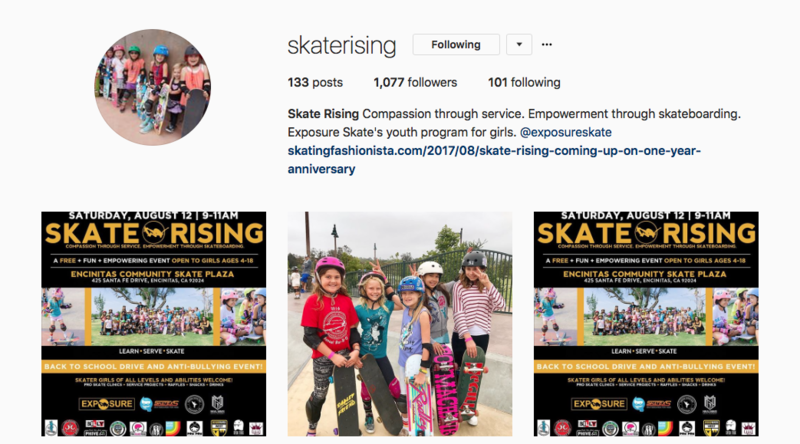 Skate Rising, EXPOSURE Skate’s youth program, teaches “compassion through service & empowerment through skateboarding” by living the behavior they want to see in the world. 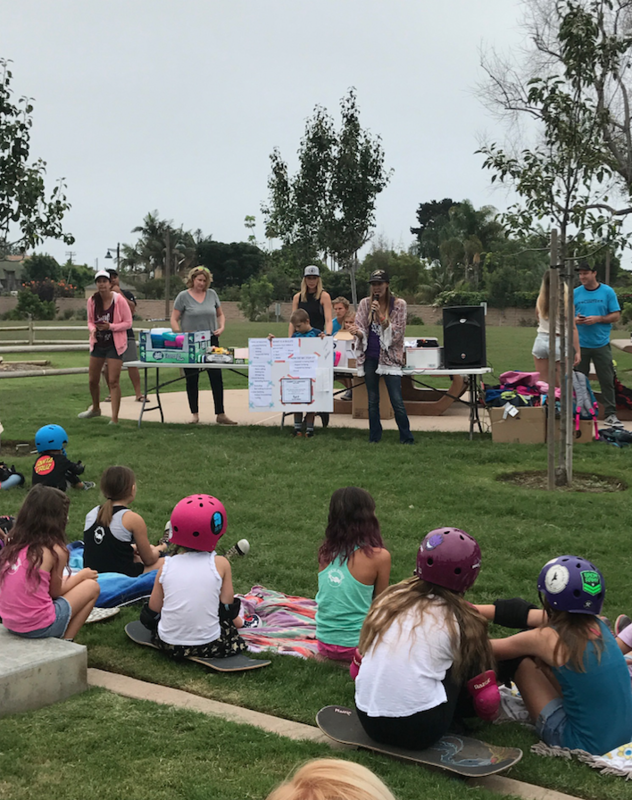 Lead by Calli Kelsay the girls were challenged to sign a Kindness Pledge and build back to school backpacks for those in need. 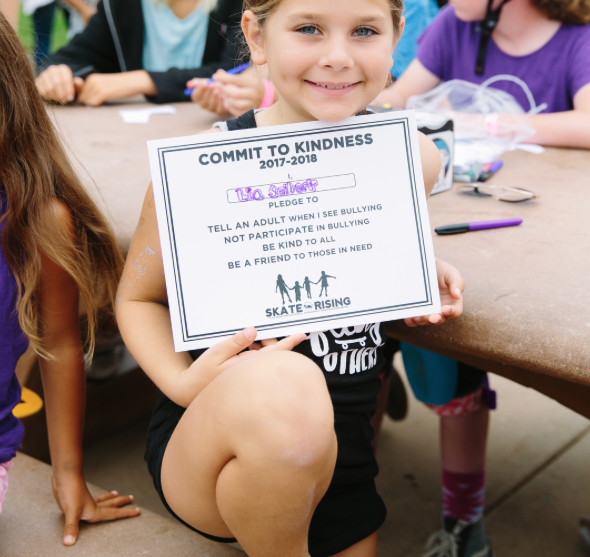 Above is a copy of the Kindness Pledge. It’s important because in a world filled with kindness, behaviors such as bullying cannot exist. Bullying is all too common and it stops when enough people respond with kindness. By talking and then involving the girls the message becomes part of them. They take on the mission to spread kindness. One of the most important things to do is “Be a friend to those in need.” Bullying becomes so much worse when the victims of bullying become shunned. 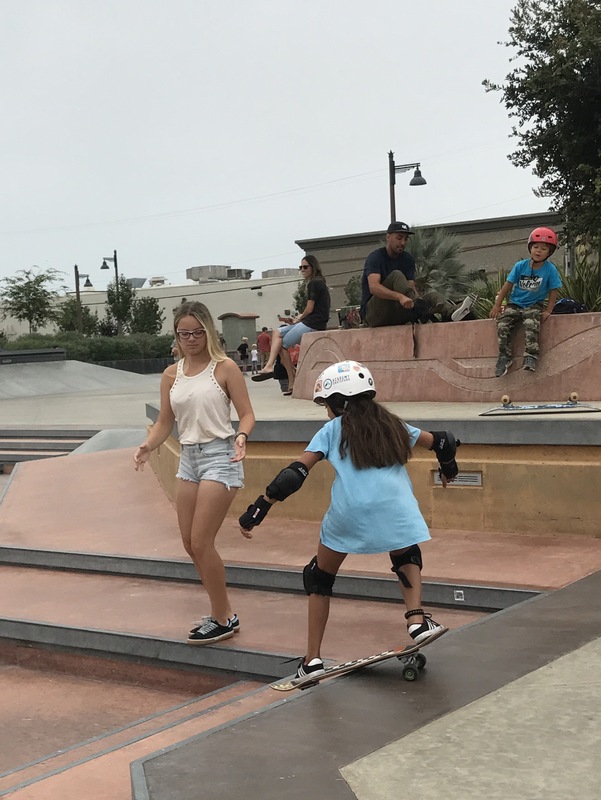 Including people is one of the kindest things you can do and it’s exactly what Skate Rising does. All girls are welcomed and encouraged to participate. The girls are also reminded that not everyone in the community is as fortunate as they are. 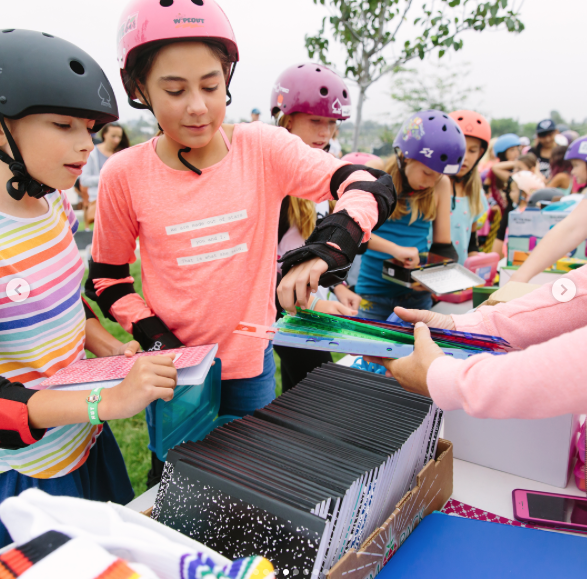 Not everyone can take back to school supplies for granted, that’s why it’s important to help build them for those who otherwise wouldn’t have them. 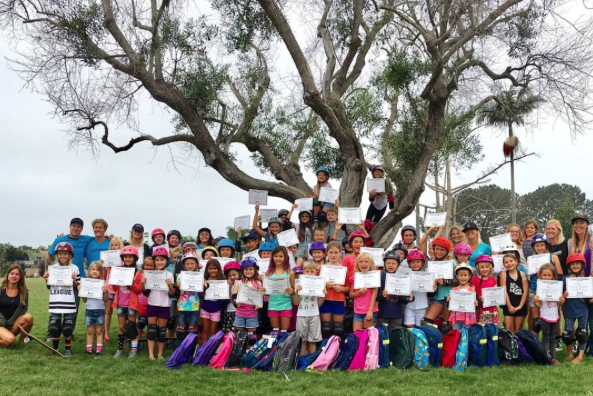 After signing the Kindness Pledges, building the backpacks and taking this beautiful group shot – the girls were ready to skate. I love to see the girls become increasingly independent and how they encourage each other. I also love to see the volunteers. 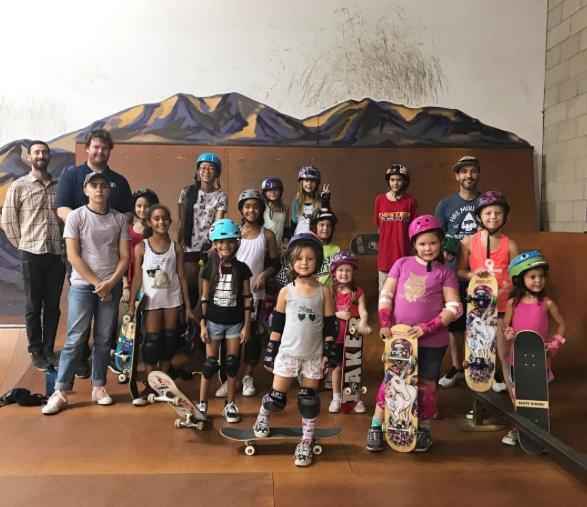 This month the girls got help from pro skaters Neal Mims & Bryce plus skater girls who came just to San Diego Area to help – Emma, Angela & Bridget from Yoga for Skateboarders! 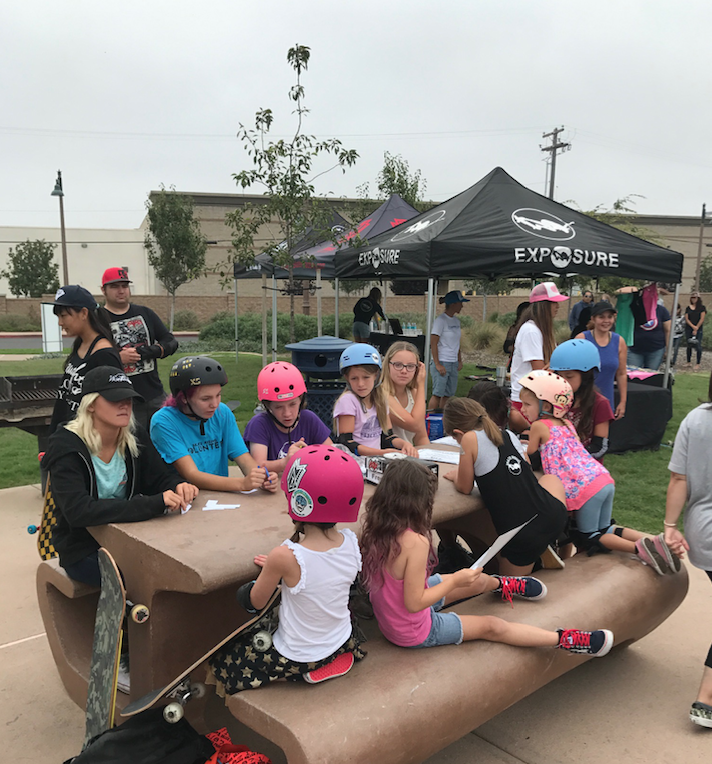 To keep up with Skate Rising, EXPOSURE Skate’s youth program, follow them on IG and know all are welcome the 2nd Saturday of every month at the Encinitas Community Park from 9am – 11am. Not in the San Diego area? 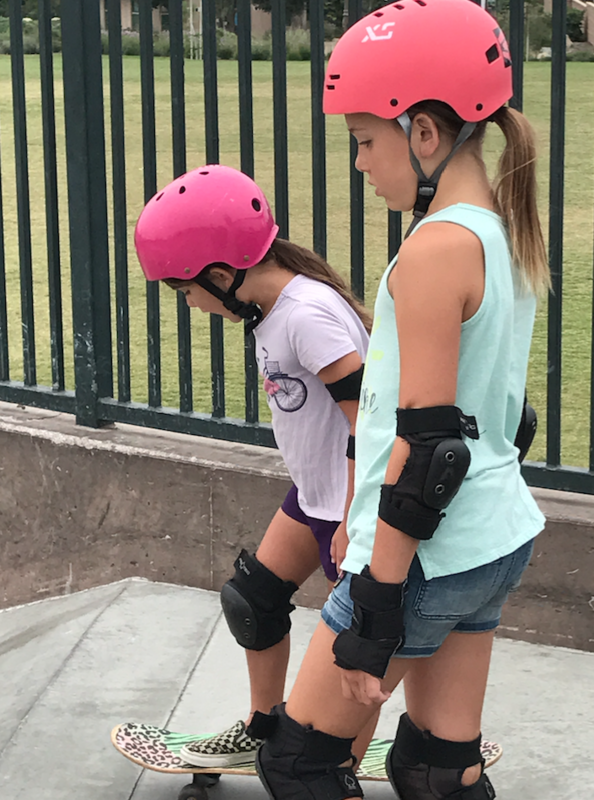 If you’re in Phoenix area you can meet up with the Skate Rising Phoenix Group who meet on the 3rd Saturday of each month at 91 West Skate Park. Till next time keep it stylish on & off the board by being kind to everyone.